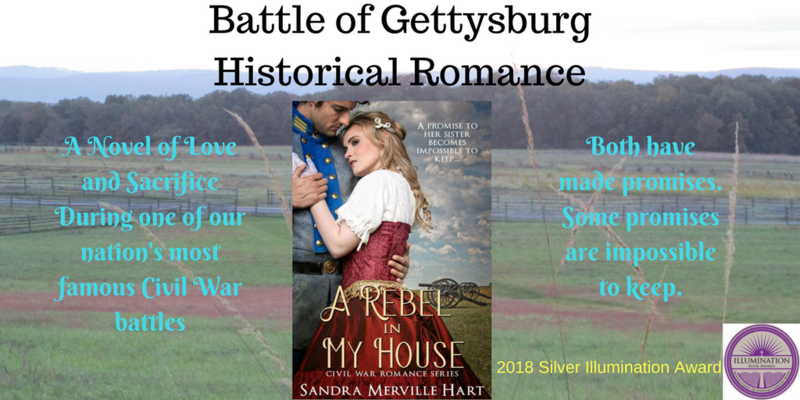 After I wrote A Rebel in My House, my Civil War romance set during the turbulent Battle of Gettysburg, other authors and readers asked me why I wrote the novel. 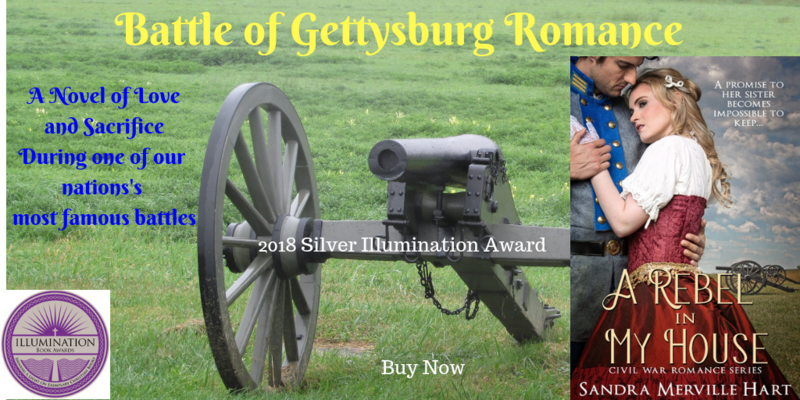 Since the anniversary of the historic battle is almost here, I thought I’d share the “story behind the story” with you, my readers and blog family. Something drew me yet again to Gettysburg. I knew there was a story waiting there for me. My husband and I walked the battlefields. Ideas stirred when I found Tennessee troops in Archer’s Brigade, part of Heth’s Division who began the fighting on the first day. Nothing solidified so I kept digging. I discovered fascinating history at the Gettysburg Seminary Ridge Museum in Lutheran Theological Seminary. Surely my story touched this place. Spending several hours exploring the museum and surroundings sparked no ideas so I trudged on. I explored Gettysburg museums, spending hours at the Gettysburg Museum and Visitor Center, Gettysburg Museum of History, Gettysburg Railroad Station, General Lee’s Headquarters Museum, and The David Wills House where President Lincoln stayed. I learned captivating facts at the Jennie Wade House, Shriver House Museum, and “The Women of Gettysburg Tour,” an evening walking tour. Ideas swirled as my husband and I walked the town’s streets around the “Diamond” or the town square. This is where the women and children suffered through a nightmare from which they didn’t awaken for many months. Then we spent another afternoon and evening at the battlefield. Three Tennessee regiments fought the beginning battle on July 1st. They didn’t fight again until they joined in Pickett’s Charge. The sun sank low on the horizon as I stood alone on Cemetery Ridge. The expansive field crossed by Pickett’s Charge on July 3, 1863, captured my imagination. Though the land is peaceful once more, it still tells a story. My imagination soared while the sun disappeared. I reluctantly left the ridge. I had a story to write. Thrilled to announce Release Day for my first audiobook! 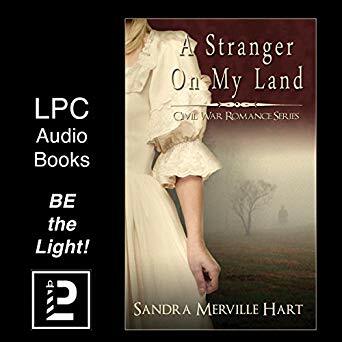 Robin Jasper does an excellent job at narrating A Stranger On My Land, my first Civil War romance. Robin has a way of captivating listeners and not letting go. I wrote the story and she drew me in! A Stranger On My Land is set on Lookout Mountain, Tennessee, at the time of the famous Civil War Battle Above the Clouds. A Southern woman finds a wounded Union soldier on her land after the battle. He will die if she doesn’t help him. Buy the audiobook today or get it free with Audible trial. Please leave a review as encouragement to both author and narrator. Thanks for celebrating this release with us! With the July 1st—3rd anniversary of the Battle of Gettysburg approaching, I thought it would be fun to dig into some “number” facts pertaining to the battle. 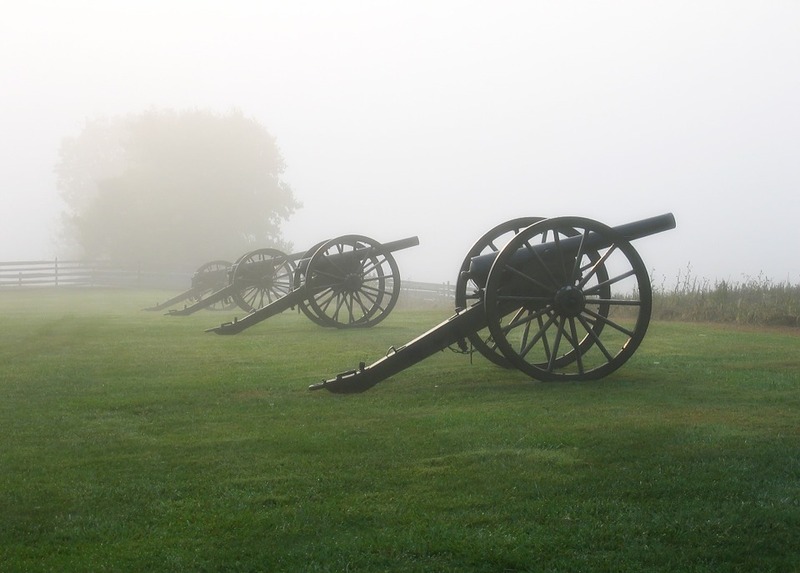 How many soldiers fought in the famous Pennsylvania battle? Sources disagree on this number due to inaccurate, incomplete, and missing records. As you can see, some of these numbers are very close. The difference between the lowest and highest estimates is 14,711. How many casualties did both sides suffer? We first have to understand that casualties were broken down as follows: Killed, Wounded, and Missing. Sources also disagree on this number for the same reasons as above. *Stone Sentinel acknowledges their estimates are conservative, with actual casualties possibly as high as 51,000. Again, some numbers are close. The difference between the lowest and highest estimates is 6,186. It’s been surprising to find so many discrepancies in these numbers. 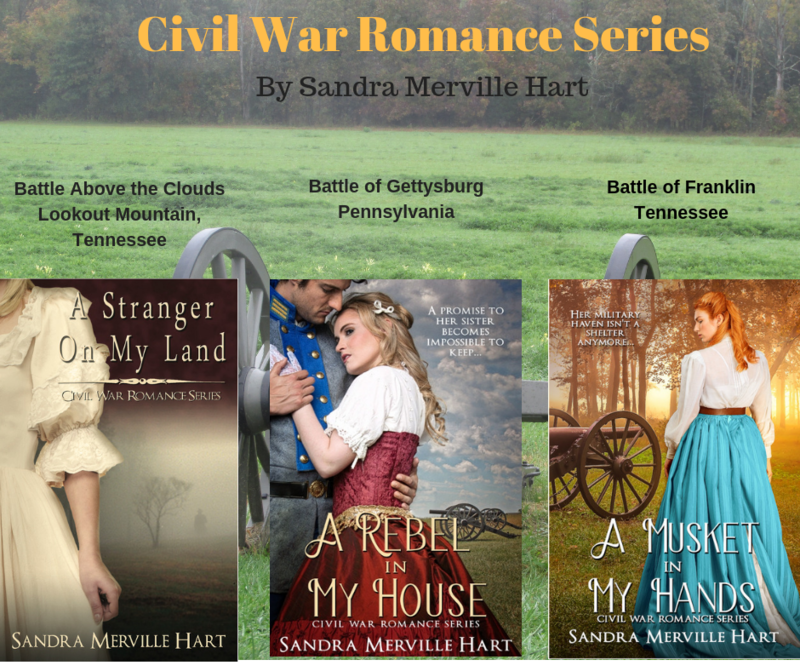 As an author of a Civil War romance set during the Battle of Gettysburg, A Rebel in My House, I’m often asked these numbers. It’s not an easy answer. “Battle of Gettysburg,” Encyclopeadia Britannica, 2018/06/15 https://www.britannica.com/event/Battle-of-Gettysburg. “Battle of Gettysburg,” HistoryNet, 2018/06/15 http://www.historynet.com/battle-of-gettysburg. 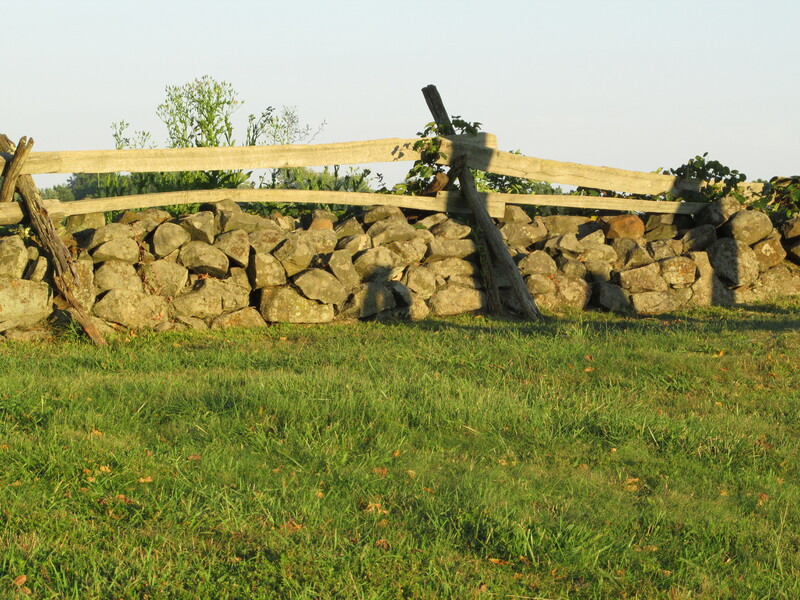 “Battle of Gettysburg Facts,” Stone Sentinels, 2018/06/15 http://gettysburg.stonesentinels.com/battle-of-gettysburg-facts/. Compiled by Editors of Combined Books. The Civil War Book of Lists, Da Capo Press, 1994. Edited by Kennedy, Frances H. The Civil War Battlefield Guide, Houghton Mifflin Company, 1990. Long, E.B and Long, Barbara. The Civil War Day by Day: An Almanac 1861-1865, A Da Capo Paperback, 1971. Sheldon, George. When the Smoke Cleared at Gettysburg: The Tragic Aftermath of the Bloodiest Battle of the Civil War, Cumberland House, 2003. This book is classified as a biography. Belle Boyd was a rebel who shot a Union soldier. 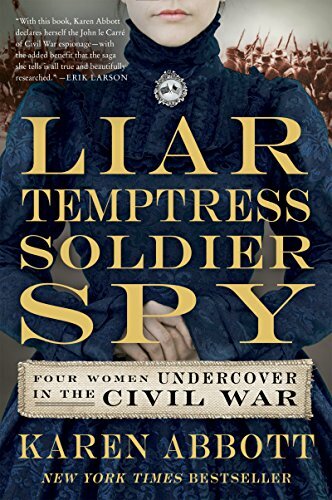 She became a spy for the Confederate army. Emma Edmondson enlisted as “Frank Thompson” to become a Union soldier. She fell in love with Jerome Robbins while acting as a soldier. He knew her secret and returned her love, though she seemed a bit too fond of her tentmate, James Reid. Widow Rose O’Neal Greenhow was a Confederate spy living in Washington D.C. She passed on information she learned from political connections and eventually was arrested. Elizabeth Van Lew lived in Richmond but was an abolitionist. She acted as a Union spy. The book is written more as a novel and is an easy read. Filled with surprises from the Civil War, this book is a page turner. Wanting to make a dessert for the gathering of a few friends, I found a recipe for lemon cake in my 1877 cookbook. I love lemon desserts and decided to try this recipe originally submitted by Miss M. B. Fullington. I have to confess that I had to make this dessert twice. Miss Fullington didn’t give a lot of details with her instructions. Since the recipe calls for 7 eggs, I went through a lot of eggs to get this right. The batter consistency for this first batch was all wrong—not at all the creamy texture I expected. When I noticed that the cook hadn’t even mentioned baking the cake, I realized that a few important details were missing. I tasted the batter—buttery with nice hint of lemon. I decided to remake with a couple of changes that I will note along the way. Set aside 2 cups of flour in a bowl. If using all-purpose flour as I do, add 1 teaspoon of baking powder and 1 teaspoon of salt. Separate 7 eggs with the yolks in one bowl and reserve the whites in another. Beat the egg whites until light and fluffy. Set aside. In a mixing bowl, add 2 cups sugar, the zest of 2 lemons, the juice of 1 lemon, the egg yolks, and ¾ pound butter (3 sticks—I know! It’s a lot of butter. They ate more butter than we do now. I followed Miss Fullington’s recipe but believe it would still work with less.) The recipe does not call for lemon extract, but I added 1 teaspoon of the extract to enhance the flavor—good call! Beat these ingredients together, adding a little flour at a time. Then fold in the beaten egg whites. My mixer has a FOLD button that works wonderfully for this. This time the batter was light and creamy with the perfect amount of lemon flavor. Yum! Preheat oven to 350 degrees. Prepare a cake pan with cooking spray. 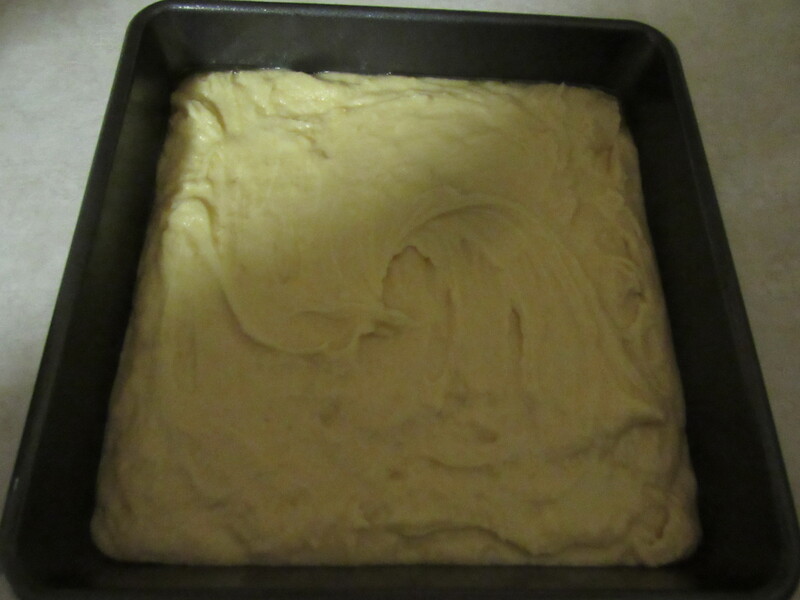 If using a 13 x 9 pan, bake about 35 – 40 minutes until toothpick inserted in center comes out clean. If using an 8 x 8 pan, bake about 50 – 60 minutes. 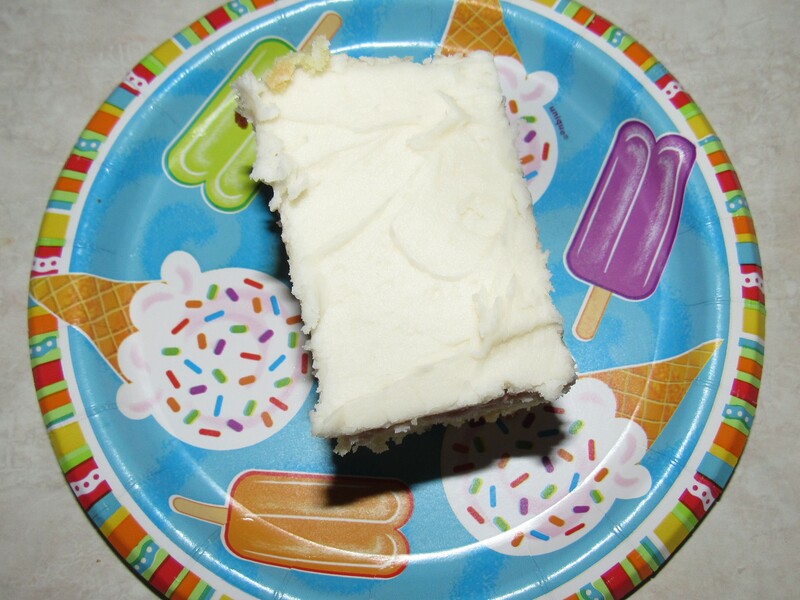 I made white icing following Betty Crocker’s Vanilla Buttercream Frosting recipe. The whole cake tasted delicious. It has a wonderful buttery lemon flavor. Loving the lemony dessert, my guests ate every last crumb on their plates. One person mentioned that he tasted an eggy flavor. I agreed. In my opinion, the number of eggs can be reduced to four or five. Also, the amount of butter can be reduced–perhaps to about ½ cup. Degataga, Cherokee for “stand firm,” was the name given to Stand Watie at his birth. He was baptized as Isaac Watie so Stand Watie is a blend of his Cherokee and English names. Watie supported the relocation of the Cherokee Nation to Indian Territory (modern-day Oklahoma.) Even though Chief John Ross and the majority of the Cherokee opposed the removal, Watie and a few other tribal members negotiated and signed the Treaty of New Echota. The treaty with the United States forced the Cherokee to leave their lands, traveling what was later called the Trail of Tears. The treaty signers weren’t popular. A friend’s timely warning allowed Watie to escape being killed with other signers in 1839. He joined the Southern cause in 1861. As colonel, he raised a Cherokee regiment, the Cherokee Regiment of Mounted Rifles. He and his troops helped drive pro-Union Native Americans from Indian Territory to Kansas. Watie and his men excelled as scouts and skirmishers. His courage was noticed and he became Brigadier General Watie on May 6, 1864—the only Native American to receive this rank in the Civil War. He commanded the First Indian Brigade, made up of Cherokee, Seminole, Osage, and Creek soldiers. After General Kirby Smith surrendered the Army of the Trans-Mississippi, Watie knew his turn was coming. On June 23, he surrendered at Doaksville in Indian Territory. The last Confederate general to surrender was Cherokee chief Stand Watie. “Stand Watie,” Civil War Home, 2018/04/22 http://www.civilwarhome.com/watiebio.html. “Stand Watie,” Civil War Trust, 2018/04/22 https://www.civilwar.org/learn/biographies/stand-watie. I recently purchased a child’s book to share with my toddler grandson that I have to share with you. 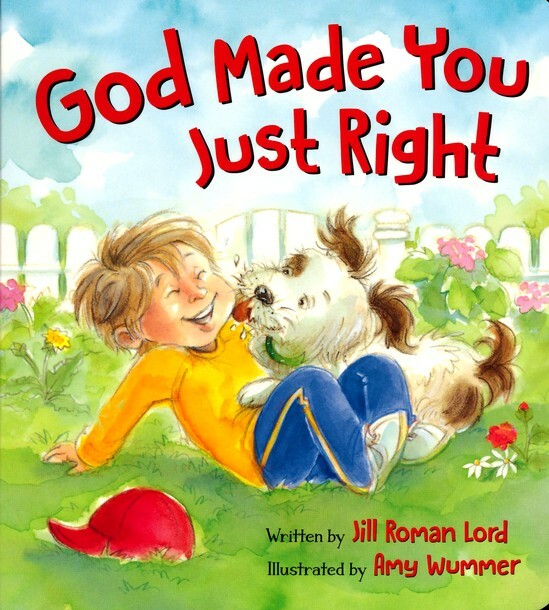 God Made You Just Right is a sweet, fun book that captivates little ones! The rhyming verses have been written with the perfect cadence to capture a listener’s ear. Written from a Christian perspective, this book explains to little ones that God took special care to make them just right. They don’t have to be like anyone else. I love the illustrations by Amy Wummer. Such a fun book! This book will delight toddlers, preschoolers, and kindergartners. What a precious book. I’ll look for more by this author! While searching for a vegetable to make for a family gathering, I found a recipe for stewed corn in my 1877 cookbook. It uses fresh corn. It was delicious! You might want to make extra for a large crowd because many folks will come back for seconds. This recipe is based off 3 pints of corn and I had no idea how many ears of corn made that much. I purchased 8 ears of corn and, to my surprise, that made 3 pints! Shuck the corn and remove the corn silks. Rinse the corn. Shave the corn off the ears with a sharp knife. Always work toward the bowl. I start about halfway down the ear and then turn it over and do the other side. Don’t shave the vegetable so closely that you cut the cob. 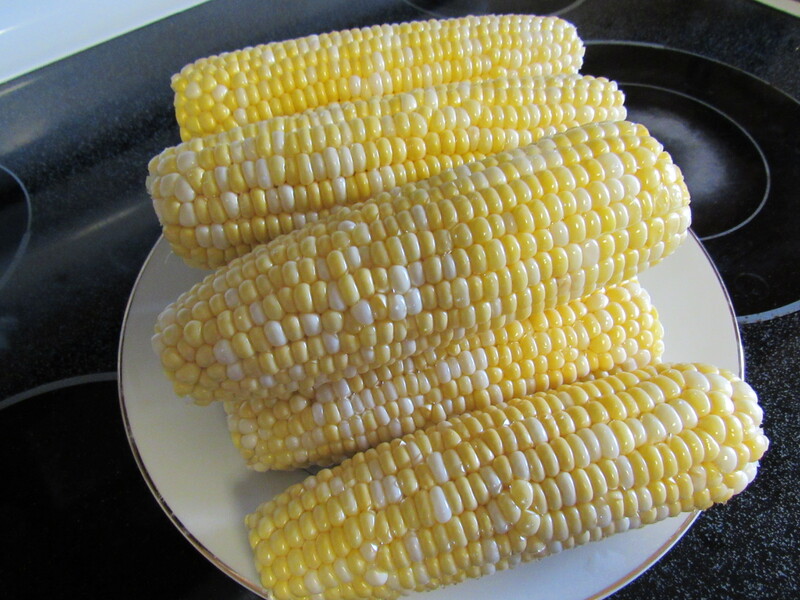 Hint: A large deep bowl or pot works best for shaving the corn off the cob as it splatters. Cover and cook over a medium low heat about 45 minutes. Stir occasionally. Add more water if necessary because the corn shouldn’t brown. The aroma as it cooks will make you hungry! Meanwhile, stir 1 teaspoon of flour into ½ cup of cream. 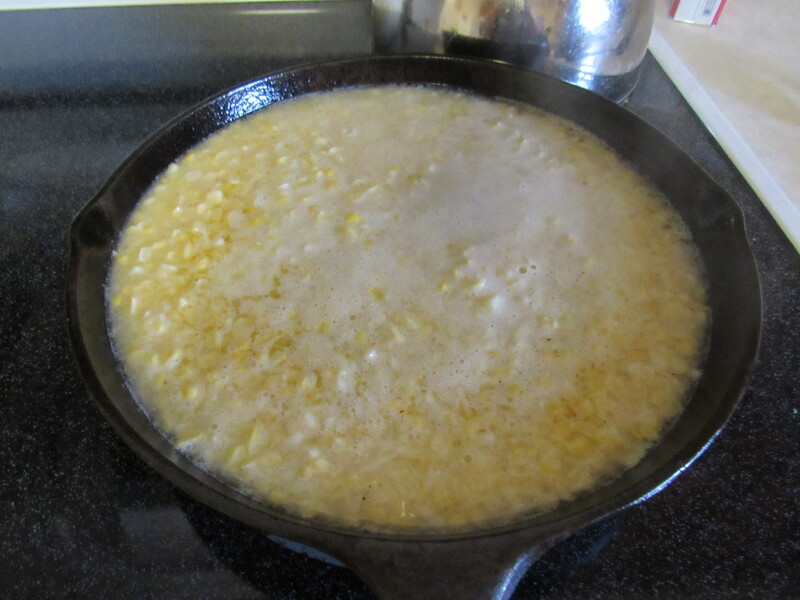 Add this cream mixture to the corn in the last 3 to 5 minutes of cooking. Stir and replace the lid. Bina, the original cook, served this with roast beef, escalloped tomatoes, and mashed potatoes. Delicious! Everyone complimented the corn dish and went back for second and third helpings. It was so good that I warmed it up and ate some for breakfast the next day. Yummy! It’s so hard to find ways to make vegetables like corn into a special side dish. This recipe earned compliments at my house and chances are good it will earn them at yours. Today’s post is written by fellow author, Donna B. Gawell. Her debut historical novel, In the Shadow of Salem, releases this month. Congratulations on the new release, Donna! Hazelelponah, Haselelponah or Haselepony? How did Hazelelponah really spell her name or did she even care? This remarkable woman is the bearer of a unique name but has an equally amazing life story from the early years of New England. Hazelelponah’s unique name is shared by a woman in the Old Testament in the genealogies of Judah. You can find it in 1 Chronicles 4:”These were the sons of Etam: Jezreel, Ishma, and Idbash. Their sister was named Hazzelelponi.” Feel free to use her name to quiz your pastor or rabbi. In the Shadow of Salem features Hazelelponah as a proprietor of an ordinary tavern. This real Puritan woman was born in 1636 in Exeter, NH and was the oldest daughter of Balthazar and Hannah Willix. In 1648, her mother was attacked, robbed, murdered on the road leading from Dover to Exeter, and her body was thrown into the river. Balthazar became despondent and moved the family to Salisbury. Soon after, Hazelelponah was sent into service, a typical practice in Puritan times for many young women and men. She met and married John Gee, fisherman, but he was lost at sea on December 27, 1669. The widow Hazelelponah moved with her five children to Boston for several years. There Hazelelponah met Obadiah Wood, a widower with ten children who lived on East Street in Ipswich and was a “biskett baker.” Obadiah and Hazelelponah married and were proprietors of an ordinary tavern in Ipswich. The couple added another ten children during their years of marriage. Hazelelponah experienced so much tragedy in her early life, and we can only hope she was revered by her twenty-five children and stepchildren! This impressive woman survived her second husband and died in Ipswich in 1714 at the age of 79. Her grave is located in the Old North Burying Ground in Ipswich, MA. Donna is a writer and genealogist who enjoys writing novels about her infamous and more humble ancestors. She lives in Columbus, Ohio with her husband Mark. Her website features history and travel articles. In the Shadow of Salem is a historical novel about the life of Mehitabel Braybrooke, a Puritan woman born in 1652 in Ipswich, Massachusetts. Mehitabel is accused of crimes−the first for arson and the second for witchcraft. History has not been kind to Mehitabel, but what was the real story behind her scurrilous reputation? Would she ever be redeemed from her lifelong curse? Or was Mehitabel as wicked as her numerous Essex Court Records imply? Widow Sadie Mathewson raises her two children at a Pony Express Station that had been her husband’s dream. She fears for the safety of her twelve-year-old son who longs to become a rider. There has also been danger to riders from the Native Americans in the area. Sadie has a good relationship with local Kickapoo and hopes for the best. Dr. Luke Stetson chases after his young brother after receiving a note that he’d joined the Pony Express. He finds his injured brother at Sadie’s station. Though the courageous mother captures his interest, his father has drilled into him not to marry beneath him. I love reading historical romances where I feel as if I’ve gone back in time. 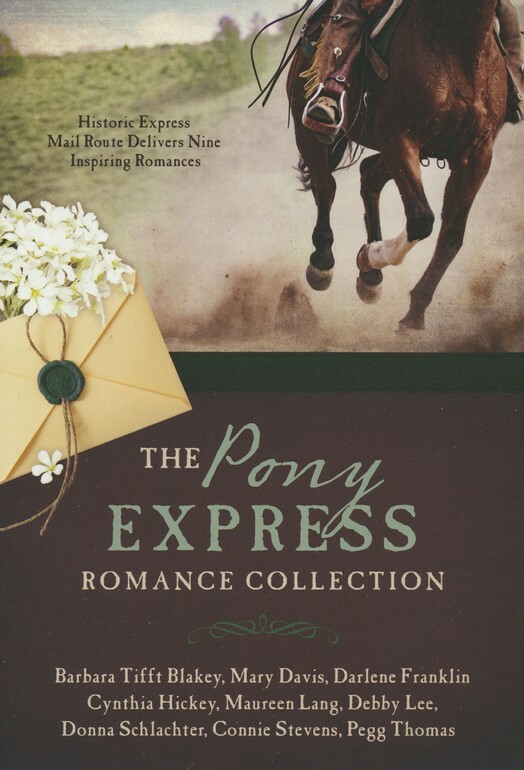 The romance and adventure of the Pony Express in this story escalates to show the danger of those lonely Pony Express stations—and the courage of the young riders. I enjoyed this story and others in this collection.